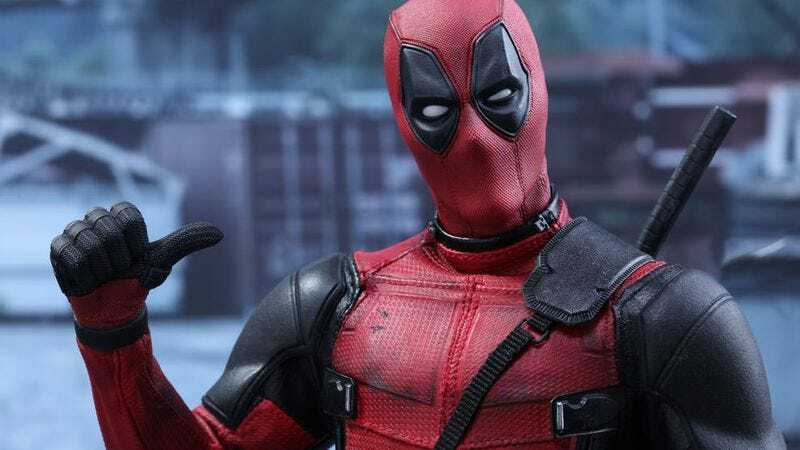 Although it was unable to tap into that key demographic of “moviegoers under the age of 6,” Deadpool has just become the highest-grossing R-rated movie of all time. That’s according to Entertainment Weekly, which notes that the film has taken in $745 million worldwide since its early-February debut. Deadpool has now officially surpassed previous record-holder The Matrix: Reloaded, which capitalized on the original film’s good will to secure the top box-office spot (for R-rated) films, despite featuring a car commercial masquerading as a chase scene. Take that, The Hangover Parts I and II. It’s an impressive milestone but one that’s not nearly as surprising as the film’s highly-lucrative opening weekend take, which shattered expectations like some kind of Colossus—even its February release didn’t prevent Deadpool from having the biggest debut for an R-rated film ever. Of course, there are more worlds to conquer: The Passion Of The Christ remains the highest-grossing R-rated film in North America, with “$370.8 million from domestic ticket sales.” There’s also the small matter of finding a way to head off the Deadpool knockoffs that will presumably arise thanks to studio executives who think they’ll crack the box-office code by throwing some blue language in with its blue-skinned superheroes. But if Saturday Night Live ever gets around to inviting Ryan Reynolds to host as Deadpool, perhaps the merc with a mouth will lose some of his luster.